Posted March 19 · Ultimaker Cura 4.0 | Stable available! After an extended beta period, we now present the stable release of Ultimaker Cura 4.0. A big thanks to our beta testers who gave us valuable information and suggestions during the beta phase. 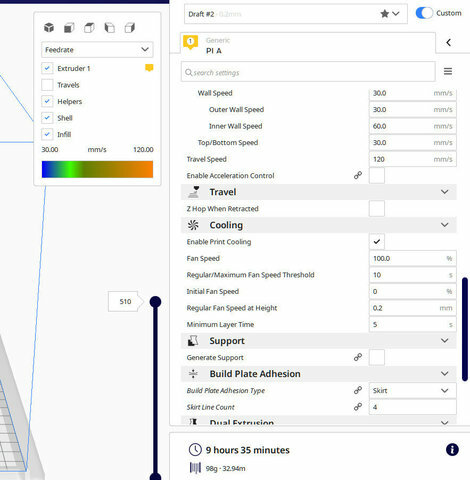 Ultimaker Cura 4.0 is mainly focused on the improved user interface and cloud integration. Find the update blog here, and for more in-depth detail of what’s new, find the release notes here. Or just dive in and download it here. Please note: Most cloud features are fully functional, but we are making some final tweaks to the stable release of firmware 5.2 for the Ultimaker 3 and Ultimaker S5, which will become available in the next few days. This will enable remote printing with your Ultimaker account. stuck there since five minutes. Will this step on my custom materials and printers defined in Beta 2? Works now... Deleted everything in the config-folder (old versions too, since Cura 4 uses their configs). 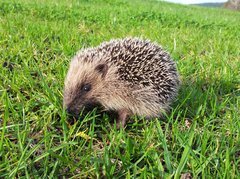 2019-03-19 18:49:22,179 - DEBUG - [MainThread] UM.Backend.Backend._onSocketError : Socket debug: Arcus Error (13): Closing socket because other side requested close. 2019-03-19 18:49:22,182 - DEBUG - [MainThread] CuraEngineBackend.CuraEngineBackend._onBackendQuit : Backend quit with return code 2. Resetting process and socket. Maybe the new setting "minimum_support_area" causes the issue, but I can't find it in the settings menu (showng all settings). Posted March 20 · Ultimaker Cura 4.0 | Stable available! That sounds like your CuraEngine is another version than the frontend of Cura. 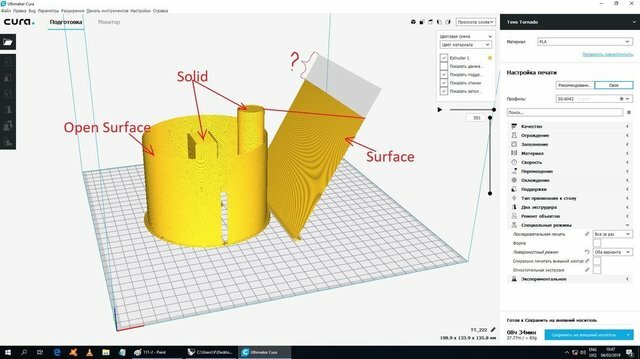 Perhaps something went wrong during your install which causes your Cura to use the another CuraEngine than the newly installed one. Another e[explanation would be that the wrong version of CuraEngine is packed into the installer, but that would cause errors for everybody. Whoch operating system are you using? No it shouldn't. But to be sure you should make a backup of your configuration folder of 4.0. 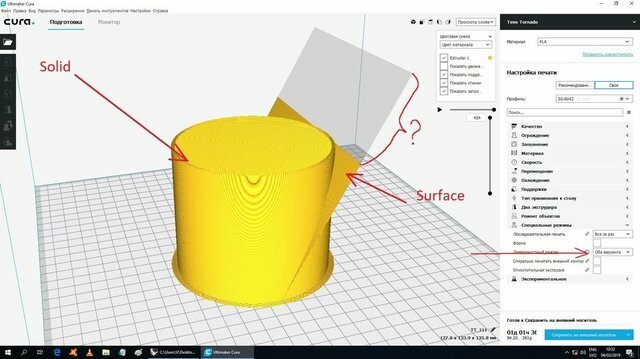 If there were some major changes since 4.0.0-beta2 then your profiles could potentially crash Cura. 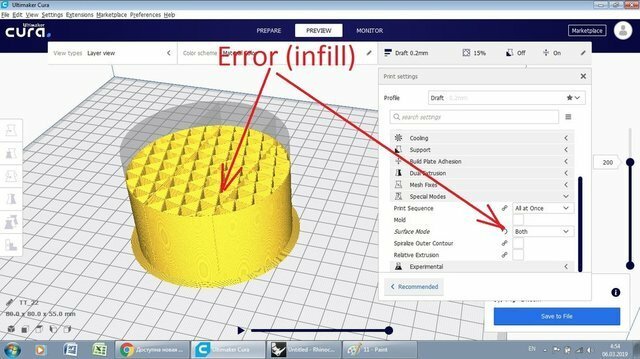 Eitherway you should update to Cura 4.0.0; you cannot stay on 4.0.0-beta2 forever; problems in updating from beta2 to stable are probably caused by beta2, not by the stable version. I had to change each of the variants, setting_version from 5 to 6. Everything else worked just fine. 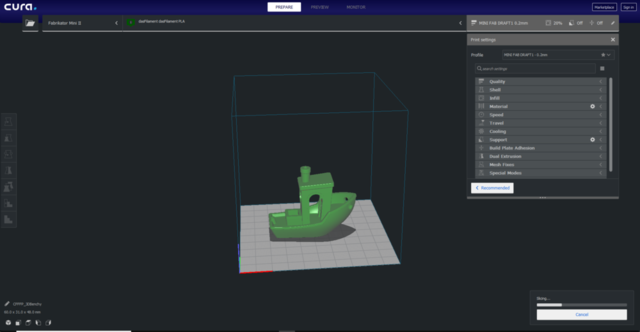 Posted March 20 (edited) · Ultimaker Cura 4.0 | Stable available! Downloaded and installed without a hitch! I noticed two things immediately. 1. 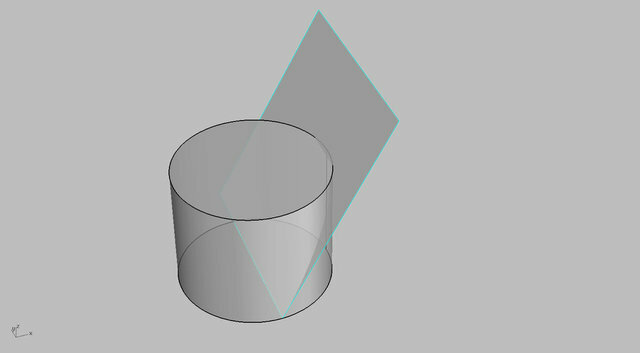 Opening a Cura Project 3mf file from <4.0 does not inherit any of the project's settings. I had to reinstall 3.6 to get a bunch of settings to show up that I had tweaked iteratively for a project. 2. I can't seem to slice... I've had errors like this before and typically changing the Prime Tower X and Y location fixes it. 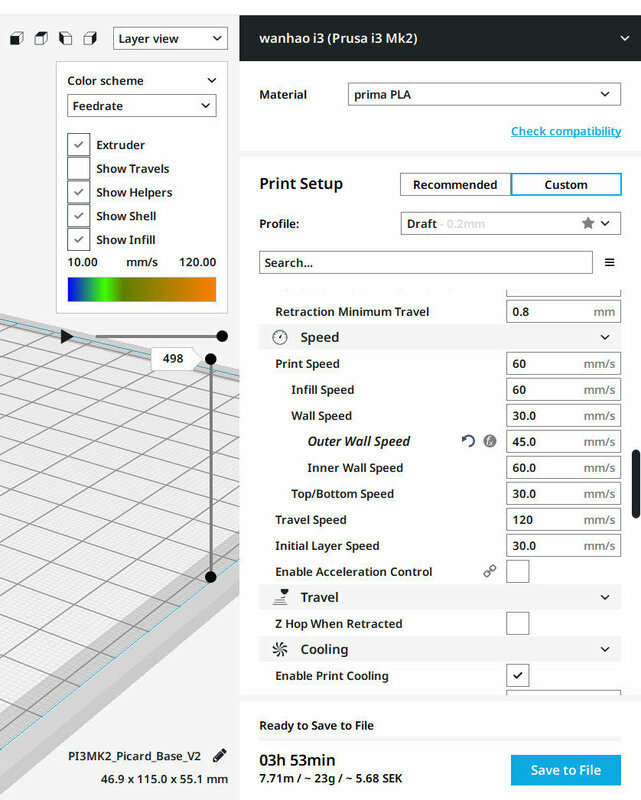 But the Extruder Prime X Position is not available for me to change/fix.I feel like this is buggy behavior, but please correct me if I'm wrong. 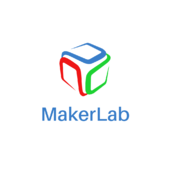 Posted March 21 · Ultimaker Cura 4.0 | Stable available! I deinstalled all Cura versions and reinstalled 4.0, which works now. But how can I get my old printer profiles to run? I tried copying the user, machine_instances, extruders and material folders which did not work. Just copying everything just replicates my previous issue. Which folders / files are needed to replicate a printer setup? Is there a simple way to fix this or am I just to export-import them one by one? I almost would like to use stronger words, but yes, I also dislike the new interface and was close to throwing out v4 again after installing it yesterday, before I learned about the great plugin which restores the UI into a usable state again. 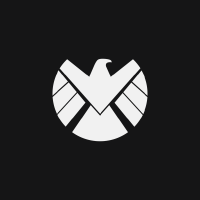 What I mostly disliked about the "new" look was the waste of space on the screen. 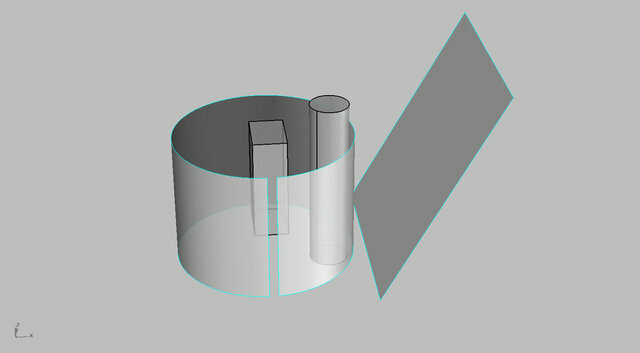 Since the model space i centered on the screen even moving the build plate to the left side did not help much because then the mouse control gets weird with the center of rotation still stuck to the middle of the screen. 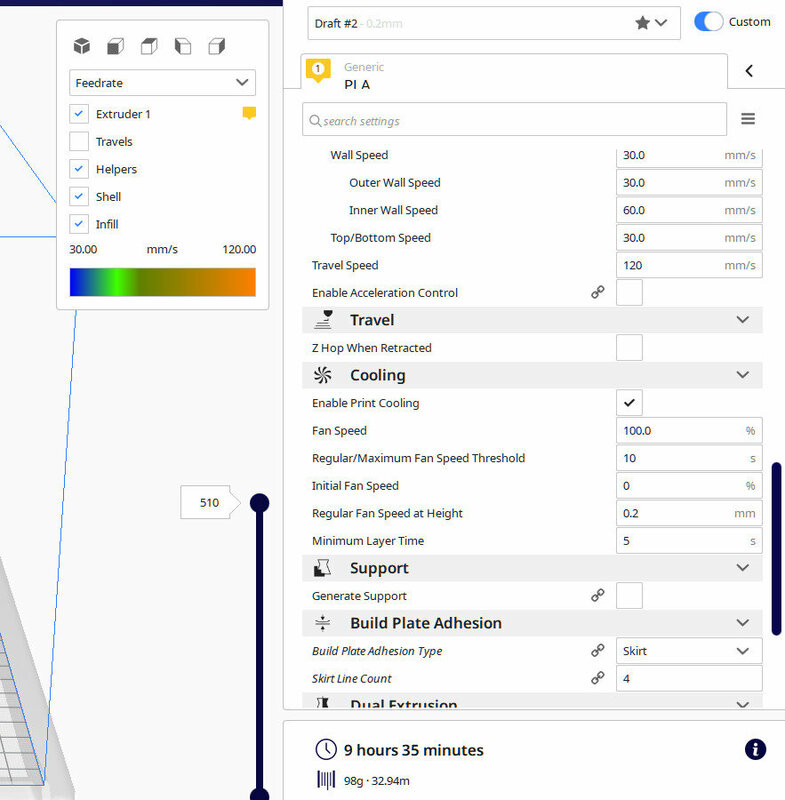 Posted March 22 · Ultimaker Cura 4.0 | Stable available! The Marketplace isn't loading any packages for me sometimes. 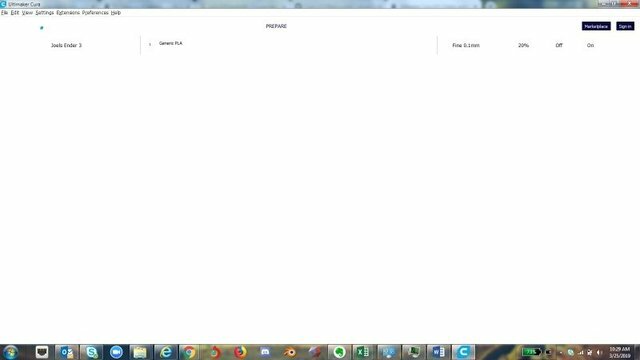 I get a message flashing up for half a second when opening the marketplace popup that says cant get Cura packages database. Posted March 22 (edited) · Ultimaker Cura 4.0 | Stable available! In Monitor: links such as "View Print History" and "Go to Cura Connect" not working. Just wondering if the mobile app will allow for connection when not using the same network? I just tried and it did not work? Posted March 23 · Ultimaker Cura 4.0 | Stable available! The mobile app doest not support this yet, for now you can only use Cura 4.0 to remotely monitor and start prints. Note that this is just the beginning for this type of functionality, much more will come. 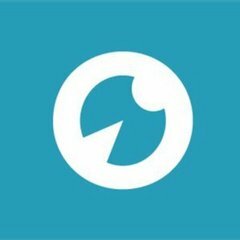 I expect a significant update coming with Cura 4.1 already. Posted March 24 · Ultimaker Cura 4.0 | Stable available! Same problem here, market place is all blank. Posted March 25 · Ultimaker Cura 4.0 | Stable available! 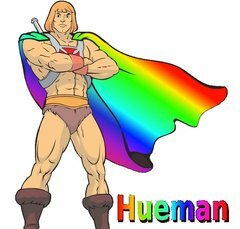 @steelhorsemodels I found out that active leveling isn't really needed on UM3E. If you do a good job with a manual leveling, active leveling becomes useless and is just a waste of time at the start of a print. The leveling will need to be redone after a time, of course, but you're good for many prints before it becomes an issue if you did the manual leveling well the first time. In my personal experience, I would often need to redo the manual leveling once or twice with the card before it was good. The card is soft, gets easily bent on the side if it hits the printhead when it is a bit too low, and the feeling for the kind of pressure there is is hard to tell. With those metal cards things (which I got by mistake, was a misclick that I didn't saw when I placed my order), I never had to redo the manual calibration, one time was enough, and the thing is hard and gives a much better feeling for the pressure coming from the printhead. OK so when I first install 4.0 it opens successfully. After closing and re-opening it, however, it opens with a basically blank GUI. This is before installing any plug ins. Posted March 26 · Ultimaker Cura 4.0 | Stable available!